Deep Silver are pleased to announce their collaboration with Tripwire Interactive and Iceberg Interactive to publish the retail version of KILLING FLOOR 2 globally, for the PlayStation®4 computer entertainment system. The second instalment of the sci-fi horror first person shooter is scheduled for release in 2016. KILLING FLOOR 2 places the gamer into continental Europe, about one month after the original KILLING FLOOR trials. Now the outbreak caused by Horzine Biotech’s failed experiment has gained relentless momentum, essentially paralysing the European Union — with all being methodically obliterated: communications, governments, and military forces alike, it is now up to a group of civilians, who have not yet given up hope to combat the outbreak and establish privately funded operation bases across Europe. New elements to KILLING FLOOR 2 are an enhanced level of carnage, with the visceral gore ramped up though a proprietary, high powered persistent blood system. As well as terrifying Zeds – novel enemies and fan favourites return with expanded and smarter artificial intelligence. Six player co-op or solo play is available, together with a unique blend of weaponry. An expanded perk system – with perks from the original game having been re-imagined, and further brutal melee combat – reinventing the melee combat completely, make for a blood-splattered gaming experience. So there you have it. It’s coming. Let’s hope Tripwire can sustain 1080/60 on Sony’s angular black box. 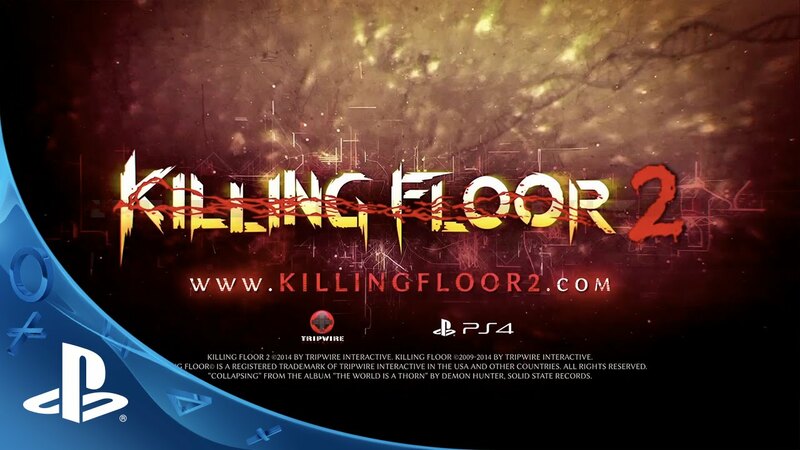 You can check out Killing Floor 2’s current status and more information on the official website.